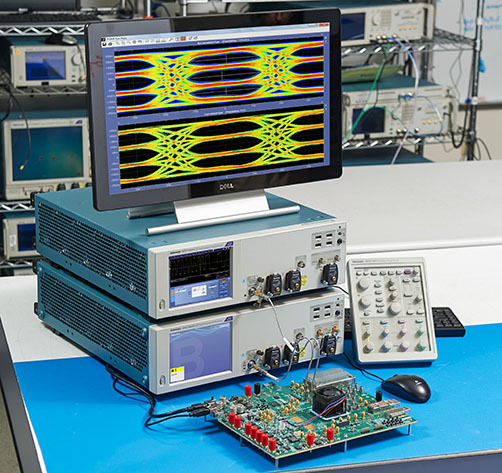 ATI technology is at the leading edge of signal fidelity, minimizing noise to give the most accurate measurement results on your next generation designs. Innovative UltraSync architecture provides configuration flexibility, allowing you to easily add acquisition channels and maintain channel-to-channel timing accuracy. Measurement and analysis tools that keep you on track. 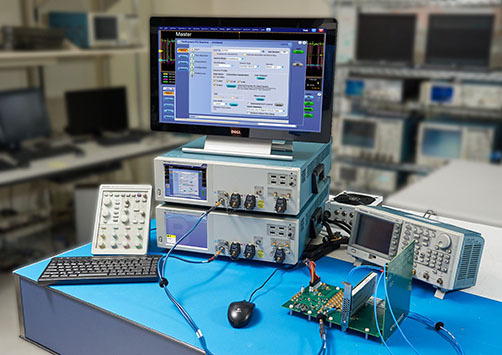 Application support packages for the DPO70000SX provide automated compliance testing, insightful debugging tools and the extensive signal connection options you need to verify and certify your latest design. 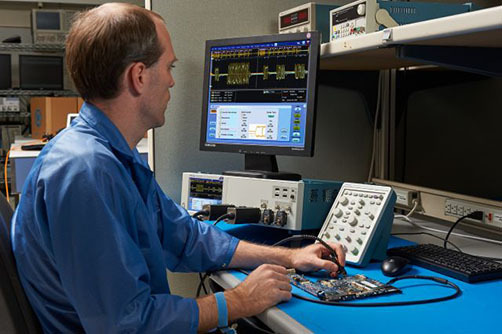 The Tektronix application engineering team goes onsite, providing expert-level support for measurement connectivity, oscilloscope operation and analysis tool insights. From introduction to adoption to integration of highly complex measurement processes in your lab or manufacturing operation, we’re here for you. Want to measure to current and emerging standards and reduce your time to market? We can help. 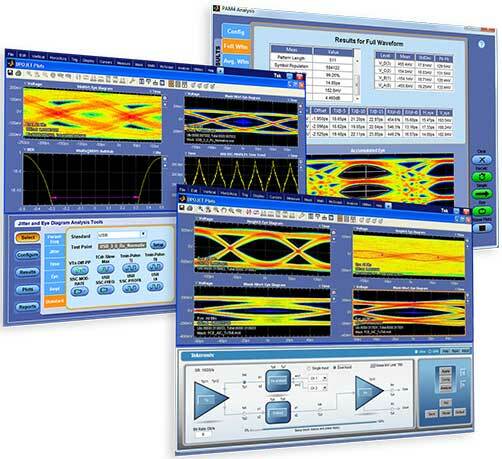 With decades of experience on committees and a commitment to creating state-of-the-art software packages, Tektronix supports you through the introduction and adoption of cutting-edge standards. Comprehensive Tx and Rx testing support for 100G and 400G standards, plus testing guidance for both NRZ and PAM4 signaling – so your team can tackle the next wave of data comm technologies. Get ready to tackle 400G and 1 Terabit long haul communications system work with the scalable architecture and low noise performance of the DPO70000SX Series Oscilloscope. 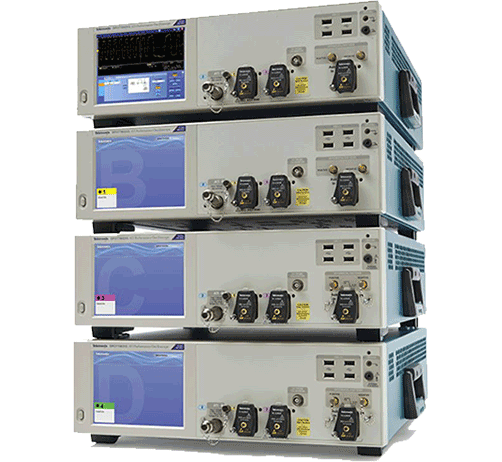 Gather data faster for your wideband RF research with ultra-wide bandwidths, easier signal connectivity and the flexibility to perform open-ended online and offline analysis of RF signal behavior. TekExpress 400G TX electrical compliance solution for OIF-CEI-56G-VSR, MR, and LR. See the versatility of our high-speed optical-to-electrical converters (DPO7OE1 and DPO7OE2 Optical Probes) for 200G and 400G PAM4 measurements. 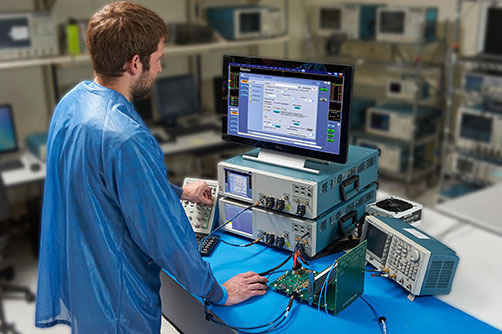 See 100G/400G Real-Time and Equivalent Time oscilloscope solutions that enable seamless transition across your workflow. 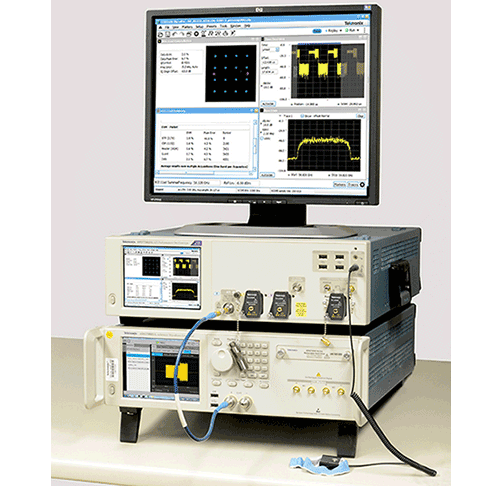 The Tektronix eDP1.4 (Embedded DisplayPort) DPOJET Essentials Option provides engineers with an easy, fast and efficient way to debug and perform compliance testing for eDP1.4 Tx devices.